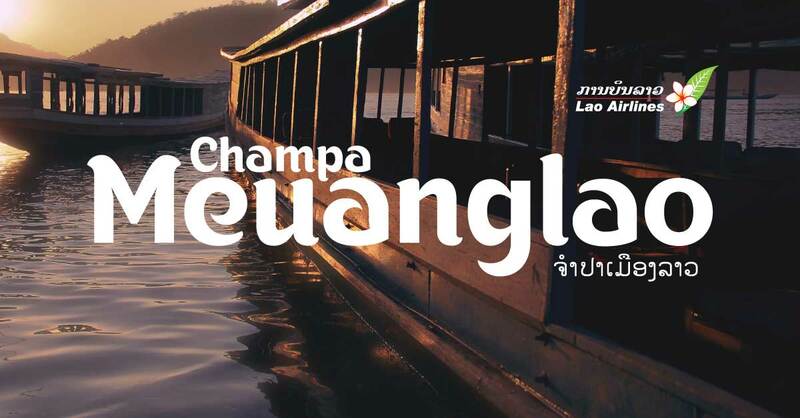 The Lao Airlines inflight magazine, Champa Meuanglao, is to undergo a drastic change as part of a reboot that will showcase a modern and sophisticated Laos. Production of the inflight magazine has been awarded to SMP Consultants, in partnership with RDK Group. The two companies will draw on their experience in business consulting, media and publishing to breathe new life into the magazine for the benefit of passengers on Lao Airlines flights. With a newly designed logo, the revamped, bi-monthly publication will, like its parent airline, reflect an evolving Laos, showcasing the country’s arts and culture scene, world-famous cuisine and enduring popularity as a travel destination. Champa Meuanglao, the Lao Airlines magazine, will also focus on business innovation and the rapid development of Vientiane as a commercial hub in the region. In addition to the editorial content, readers have come to rely on the advertisements in the magazine as an easy, time-efficient way to find about products and services in Laos and in the destination countries to which Lao Airlines flights travel. In a peaceful, serene environment such as an aeroplane seat, adverts stand the best possible chance for recall. Champa Meuanglao Magazine is the nation’s prime vehicle for getting an advertiser’s message in front of the people that matter. For more information, contact RDK Group by email at info@rdkgroup.la or by phone at +85620 55999456, ,+856 20 55285580, or +85620 55731717.